I'm The True Terror Beneath A New Era! 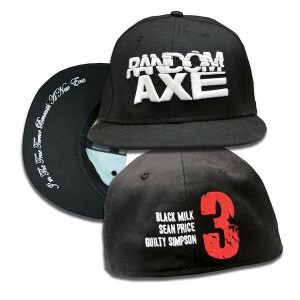 tag line written in script on the underbrim of the all black Random Axe New Era 59/Fifty Fitted Cap. 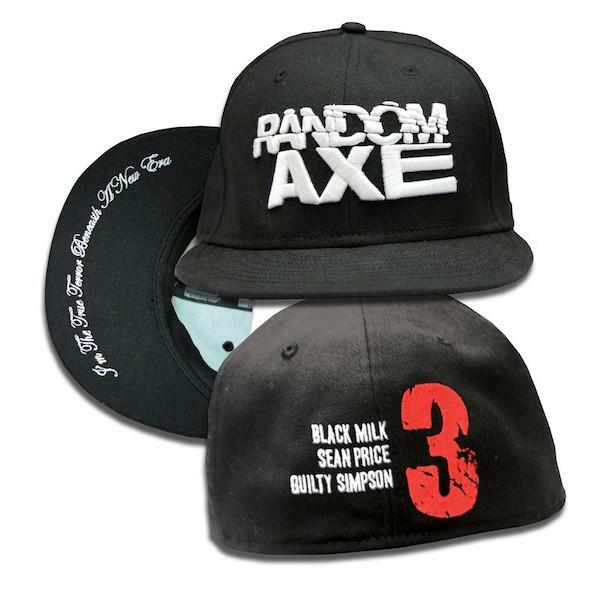 ÿAlso includes the embossed "Random Axe" logo on the front, the giant red "3" with Black Milk, Sean Price, Guilty Simpson on the back of the cap. ÿCap also comes with the official New Era golden foil sticker.